To make it easy for you to pay your rent, we have a wide variety of payment options available which means that you can choose how you want to pay your rent. If you switch to paying by direct debit and then they pay this way for 12 months, we are offering an incentive of £25.00 which will be added to your rent account or paid to you in shopping vouchers. For more information on this, please see the leaflet below. by direct debit – call us on 0192 246810 or Contact Us to set one up. 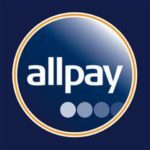 Click on the Allpay link below to take you to the Allpay website. You will need your Allpay payment card and your debit card details to be able to pay online. If you have lost your Allpay card, please call us on 01925 246810and we’ll send you another. If you do have any problems paying your rent, it is important that you contact your Housing Officer straight away. The information leaflet below explains what you should do if you are having problems paying your rent.